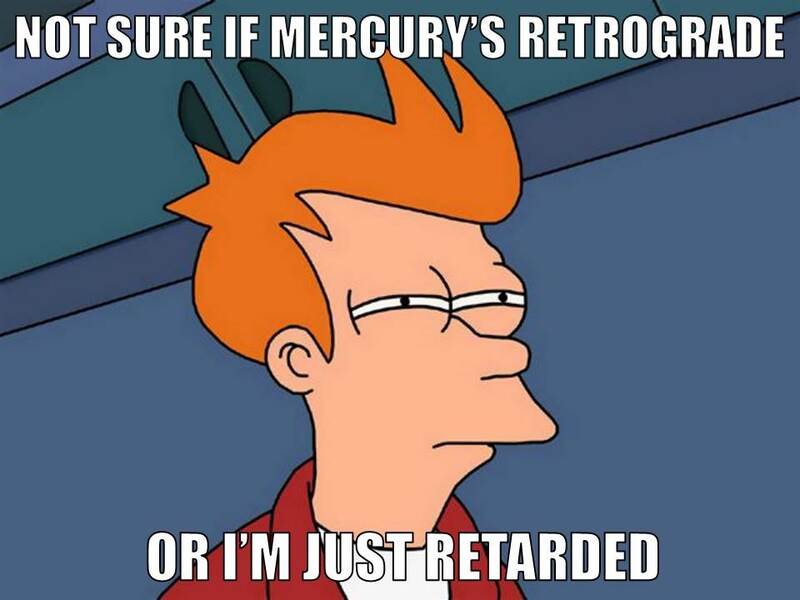 A little something on Mercury Retrograde and numerology…. Communication always gets weird when Mercury squares Neptune, but just fuggedaboutit when Mercury is also retrograde on top of this! You’ve got about as much of a chance of getting your message across as Sting did when he was marooned on that desert island, LOL! Now I have the unfair advantage of always having the lay of the astrological land 24/7 – I know what astro-energies are in play at any given point in time so am generally able to avoid many of the problematic manifestations of a particular vibe. But I am not infallible, and sometimes there are things that just cannot be avoided despite performing your due diligence. It goes without saying this is generally a screwed-up time for getting communiqes across (barring assistance via Divine Intervention of course, LOL), but I still chuckle and shake my head whenever something goes awry. Exhibit A: My spam filter randomly decided to act up on me and hold an important message hostage in a place where I couldn’t immediately see it. Thankfully, I’m pretty good about checking these things – especially during Mercury Rx – so it’s not as if it was lost and left floating around in the ethers indefinitely. Exhibit B: I had to send an item out in the mail during this square – it needed service and I couldn’t wait the 6+ weeks it was going to take for Mercury to be A) direct and B) free of this square with Neptune. I had a feeling The Trickster was going to screw with me on this one, naturally, so I double checked that I was copying down the mailing address correctly, got insurance, delivery confirmation, made sure I had proper postage, took extra precautions to ensure it was packaged properly so it wouldn’t be damaged in transit, and made sure my penmanship was über legible (not usually a problem anyway when you write in BLOCK CAPS, LOL). I then decided that I couldn’t be too careful, so on top of all this I invoked Mercury’s blessing with a brief litany to Hermes. And what do you think happened?? The $%^&*!# thing came back to me anyway, LOL – sort of like that damn yellow cat! Apparently, somehow the address I had gotten for their service department was an old one, so my package couldn’t be delivered. Arg! Some tips & tricks for surviving & thriving under Mercury square Neptune. With this energy in play through June 23rd, be aware of literal (as in, while driving) and metaphorical “blind spots”! If everyone followed astrology, I’m firmly convinced the world would run a whole lot better! Major telecommunications providers would know better than to schedule a buyout of another competing telecom co. during a Mercury retrograde phase – ESPECIALLY on the days when Mercury transitions from direct movement to retrograde motion or vice versa (called the “stations” in astro-lingo) if they want things to go smoothly! Why? Telecommunications is a field completely under Mercury’s dominion and thus is heavily affected by this planet’s movements, and all kinds of technology & communications-related mayhem can ensue on these days. Now obviously if a telecom company is trying to break into a new market area, they would want to start off on a good note and *not* have any major service outages or issues on the phone, TV, & internet services they’re providing to their brand new customers. In fact, if one was to consult an astrologer expressly for this purpose and say “Hey, I own this telecommunications company and am looking for an ideal day to seal the deal on the buyout of this other company – what would be a good date for me to do this?”, rest assured the very LAST day an astrologer would EVER recommend for this purpose would be a day where Mercury was stationing! Publishing & printing – Whether you’re a sign maker, have a printing press company that produces tangible things like business cards & flyers, own a social media marketing firm, run an editing company, have a publishing company, or if you’re a blogger, note that Mercury has dominion over the written word. This means during a Mercury retrograde (particularly when this planet is stationing), we could be plagued by things like typos, layout issues, font problems, autocorrect fails, and random weird tech issues like hyperlinks not working the way they should. Mercury signifies the details and it may be little things we might not notice at first, so it pays to either come back later to take a second look at something we’re writing or else get a second pair of eyes to look it over. I.T. – The I.T. field is very affected by Mercury retrograde as a whole and is likely to be hoppin’ during these phases – we’re much more likely to encounter computer issues such as viruses, corrupt data, our computers just plain freezing up or crapping out, etc.. Ahead of these periods, I always advise triple checking that we’ve backed up our data “just in case” – at least then if there’s an issue, it’s not likely to be catastrophic. Also: Unless you HAVE TO, Mercury retrogrades are NOT times to buy new computers or tech gadgets on a whim! If you have no other choice because your computer died, it’s one thing, but if it’s not an absolute necessity it’s better to wait until well after Mercury turns direct because the chances are higher that we’ll either have issues with this new machine as well or else have difficulty getting used to this new unit. This would especially not be a good time to do something like, say, transition from a PC to a Mac or vice versa because it’s likely to be headache city! Media/journalism – Double and triple check the facts if we’re in these fields, because the tendency is to *not* have all the information when Mercury is retrograde. Rather than risk speaking out of turn, it’s important to perform our due diligence to make sure we have everything straight, because the tendency to speak without thinking is increased. These periods are when we’re likely to see things like newscasters so in a rush to get the hot scoop, that initial reports are often disproven, disputed, or not what they first appear. Sources might not be credible, something gets taken out of context, or misinformation is given, for example. It’s rather like a game of telephone – as the story goes along it can change and there’s a good possibility what’s initially reported is not what actually happened – this is why waiting & making sure we’re covering all the angles becomes so important. Transportation – Whether we’re a cab driver, a mechanic, or a commuter, Mercury has dominion over our day-to-day modes of transport like cars, trains, subways, and busses. Traffic jams and travel delays are more common during Mercury retrograde, so it’s good to leave extra time to get where we’re going. Accidents – especially from distracted driving – are more commonplace as well, so definitely make it a point to put down those devices during the 3 weeks Mercury backtracks to help avert this possibility. Car problems can act up at this time as well (and it’s entirely possible to get a wrong diagnosis on whatever mechanical issues you’re experiencing at this time, which can be pricey!) – this is another one of those instances where it’s best to bring your car in for regular maintenance well before the retrograde phase, because if we don’t and have been neglecting our cars, the likelihood is higher that something will surface then. Sales – Mercury is the wheeler-and-dealer of the zodiac since he has the gift of gab, so the sales field is where he shines! During Mercury retro, however, we may find ourselves tongue-tied, our prospective customers might not know what they’re looking for or later change their minds, and it’s harder to make handshake deals that work to everyone’s advantage where each party walks away from the deal satisfied. During Mercury Rx, we’re better served re-visiting old sales leads, calling up old accounts and seeing if there’s anything we can do to service them, and generally expending effort re-connecting with people rather than trying to use that gift of gab to bring in new customers – this also applies to advertising. Healthcare – Aside from the normal hiccups that can occur from double-booking, over-booking, people forgetting about or otherwise missing their appointments entirely during Mercury retro, taking extra care to arrive at a correct diagnosis is important during this phase. Patients may be more inclined towards unusual presentations, there may be a piece of the diagnosis puzzle that’s missing, or it winds up being the proverbial “zebra” diagnosis, for example. Patients may also be inclined to do things like leave out pertinent info when describing their symptoms or think another issue they’re having is unrelated and thus not bring it up during consultation, or forget to disclose what other medications/supplements they’re taking – things like this. Also? 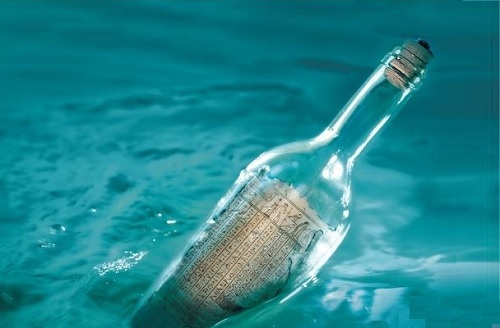 If a paper script is given out, make sure the handwriting is legible and double check the pharmacy gives the correct medication AND dosage amount – mixups like this can happen during Mercury retrograde! Customer service – This is a tough field during Mercury retrogrades, because people are more inclined to experience problems with products or services and thus more likely to have complaints. Long phone wait times (also due Mercury Rx) can obviously add to a disgruntled customer’s annoyance, so it’s important to let customers know their frustrations are heard & understood and to be able to think of outside-the-box solutions to remedy the problem if conventional means are not resolving the issue. That’s a quick (but not exhaustive) list of fields highly impacted by Mercury retrogrades! Hopefully going forward, if we work in these fields or are involved in them for any reason we can refer back to this list to understand the possible implications the next time Mercury is retrogrades in order to help things run a little more smoothly – the next Mercury retrograde is January 21st, 2015, so let’s make it a point to get our ducks in a row well before then!